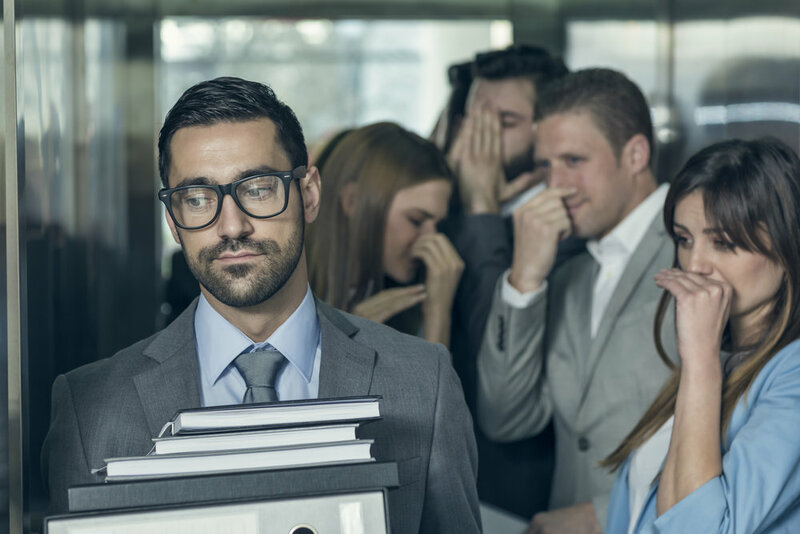 The title of this post may have you wondering what chronic body odor has to do with communication and how any of this will help a new manager or supervisor develop leadership skills. Trust me, they are related, and by the end of this post you’ll see how. Currently, there’s a wrongful termination case in Indianapolis stemming from an employee’s use of air fresheners to deal with a colleague’s chronic body odor. The air-freshening employee was fired for creating a hostile work environment for the problematic-smelling employee. Air Freshener Employee did everything she could to improve the air quality for herself and her other colleagues … everything, except talk to the offender. Talking costs nothing, doesn’t trigger sensitivities to fragrance, and could actually solve the problem, instead of coating it in floral scent. However, it’s a lot harder to raise a sensitive issue than it is to spray an air freshener. There are probably very few issues more uncomfortable to discuss than personal hygiene. As a new or seasoned manager, you’re going to face lots of difficult conversations—maybe not this one, but challenging ones, nonetheless. So, how do you address sensitive and difficult conversations with your direct reports? Let’s look at the technique we explore in Gillespie Nimble. Do your team members feel free to challenge you and question your plans? Do they give and expect feedback? Do they tell you when they think you’re wrong and share their opinions? Once you’ve established trust, when you encounter an issue you need to clearly and unemotionally communicate the problem, the behavior you’ve observed, and the effect it’s having on you. First, plan what you’re going to say. In the Indianapolis case, if the Air Freshener Employee had a trusting relationship with her colleague, she could have said, “Friend, within our small, open office area (the situation), I’ve noticed a sweaty and musty odor from your cubicle (the behavior). When I smell it, I feel ill and have trouble concentrating (the effect).” Having a plan for this conversation won’t make it easy, but it will certainly make it more successful than not planning or not having the conversation at all. Am I the right one to say it? Is this the right time to say it? Is this the right thing to say? If you can answer “yes” to all three of these questions, have the conversation. Once you’ve presented the situation you need to offer support to your colleague to help solve the problem. Air Freshener Employee could say something like, “Let’s make a plan together to address this.” This offer of support will help increase trust and will allow you to make a plan that you can follow up over time. Difficult conversations are, well, difficult. These guidelines can help increase the success of these discussions. They’ll still be challenging, but look to Air Freshener Employee’s termination as a cautionary tale of what happens when you avoid them altogether. Trust is the most critical part of this equation. Download our guide on how to question your way to a trusting relationship.